What a delight we had for Friday Night Vespers! 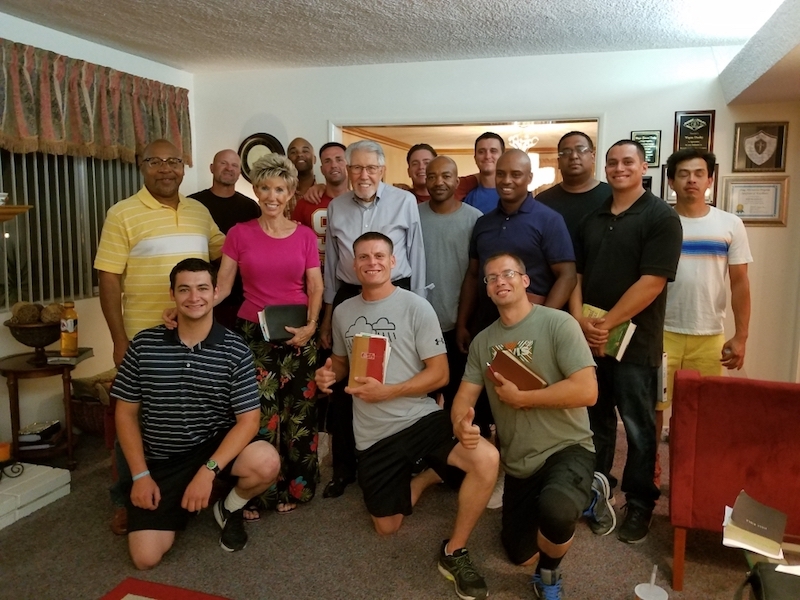 Elder Kenneth Cox, director and speaker of Kenneth Cox Ministries in Loma Linda, CA, was our guest speaker . His public ministry has covered most of the world. He has specialized in world history and its relationship to Bible prophecy and current events. Tonight’s message was entitled “The Covenant God has with His Children.” The new covenant of Jesus Christ is intended for all mankind—regardless of race. In the Great Commission Jesus sent His apostles into the entire world so they could tell the story of the Cross. (Luke 24:46-47; Matt. 28:18-20). The gospel call extends to every man and woman today! As the men read the Scriptures given by Elder Cox, they were inspired and given hope for the last day events. Thank you, Elder Cox, for taking time out of your busy schedule to minister to the men of DAP. You touched their hearts.